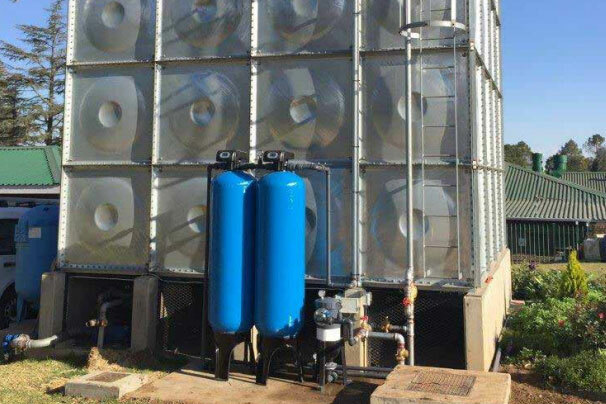 The Envirowater range of industrial ozone machines are designed to meet the needs of the customer. They are manufactured in either mild or stainless steel construction and range from 2gm/hr up to 50gm/hr with oxygen. Ozone is superior to any other disinfection method because of its high oxidation state. Ozone allows for lower operating costs and reduces overall chemical costs. Ozone is not typically associated with by-products, and naturally reverts to oxygen, so no taste or odor is associated after its use. Ozone is generated on-site. Therefore no dangerous storage or handling is required. The International Bottled Water Association (IBWA) suggests a residual ozone level of 0.2 to 0.4 ppm. This provides disinfection to both the water and the bottle. Large scale rainwater collection systems provide great economic and environmental benefits because of their overall size and the ability to mitigate both both stormwater runoff and municipal water usage. But they also demand greater attention to hydrology concepts, system design, competent installation and properly designed system components. Water processes that are being used for industrial purposes are mainly broken into the manufacturing of products, the disposal of waste and generating of power. 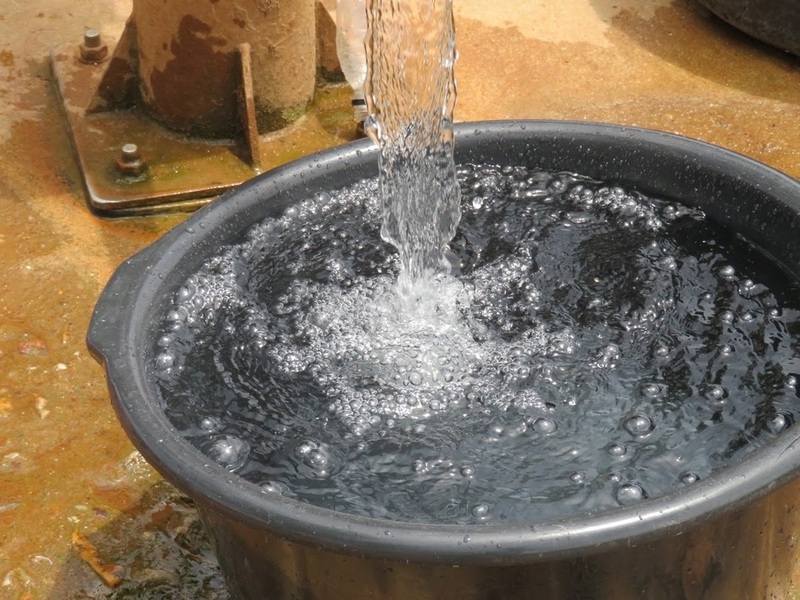 Manufacturing processes that can include the use of water are largely fabricating, washing, processing, transporting or creating products that incorporate water. Waste disposal water usage originates from industrial and domestic processes like sewage or industrial draining. This waste water is captured and treated to be used again in the future. The largest component using water within the industrial sector is for power plants. The water is used to keep the power plants cool. Most types of power plants like coal, nuclear, natural gas and oil power plants need cooling.